LeBron Won’t Reach Finals? Rockets Remain Second Fiddle Out West? Day 1 of the NBA Playoffs are already in the books and it featured some interesting results. 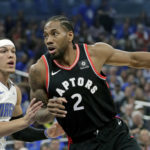 The Philadelphia 76ers and Golden StateWarriors poured in strong Game 1 efforts, completely dismantling their opposition, while Anthony Davis led his New Orleans Pelicans to a Game 1 upset over the three-seed Portland Blazers. 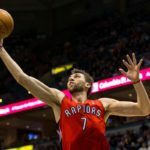 Moreover, the Toronto Raptors ended their Game 1 curse, following a strong fourth quarter effort against the Washington Wizards. 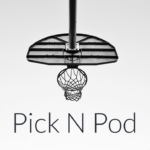 Today, is a new day, and eight more teams are slated to play Game 1, but we will be taking a longer-term outlook and make three bold predictions that will turn this year’s NBA postseason into one of the more exciting ones in recent memory! Time to prepare for the unpredictable! The three-seed Oklahoma City Thunder seem to have everything they need to beat a young Utah Jazz team that seemingly retooled on the fly. The Utah Jazz have had no All-Stars this season, yet behind great coaching, resilient defense and the revelation that has been rookie guard Donovan Mitchell, the Jazz have found their way back in the playoffs. Now, they are a six-seed going up against the reining League MVP, Paul George, Carmelo Anthony and the rest of the Thunder. It may seem scary to some, but for the Jazz, an upset could be brewing. Watch for the Jazz defense to stifle and halt Russell Westbrook and the Thunder, as the Jazz will put out a series win in 6-games. The Houston Rockets may just be the best team in the NBA – according to some of the greatest minds in the game. Yet, an incredible regular season will not help the Rockets when it counts as the one-seed will go onto meet the healthy Golden State Warriors in the Western Conference Finals. A focused Warriors team with Kevin Durant, Draymond Green, Klay Thompson, and Stephen Curry all ready to go will find a way to take care of business and reach the NBA Finals stage yet again where they will repeat as champions and accomplish the dynasty! They will not be the little dinos no more! This is the Toronto Raptors year. 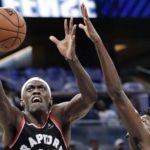 After winning a franchise record 59-wins during the regular season, locking up their first ever number-one seed, the Raptors will shock the basketball world when they upset LeBron James and the Cleveland Cavaliers in the second round, on their way to the team’s first NBA Finals berth. 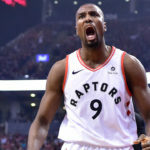 The Raptors have depth, the strongest second unit in the league, a top-five offensive and defensive team and will get big performances from their two stars Kyle Lowry and DeMar DeRozan, all of which will lead them on a magical postseason run.